The first Royal vacuum cleaners were made by the P.A. Geier Company in 1905, establishing Royal as the oldest vacuum cleaner manufacturing company in the world. Mr. Geier started producing his metal cleaners by hand in a backyard garage in Cleveland, Ohio. Today, Royal enjoys more than 98 percent brand name awareness in the Dirt Devil brand name. Royal’s line of products with the Dirt Devil brand name include uprights, stick vacs, canister vacs, hand vacs, and carpet shampooers. Royal is dedicated to building brand loyalty through customer satisfaction by providing customers quality products that meet their cleaning needs. 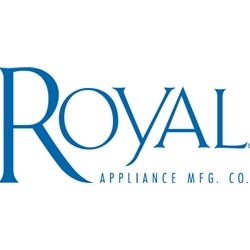 Continuous innovation and quality in its products, advertising and operations are the key drivers of Royal Appliance’s future growth.